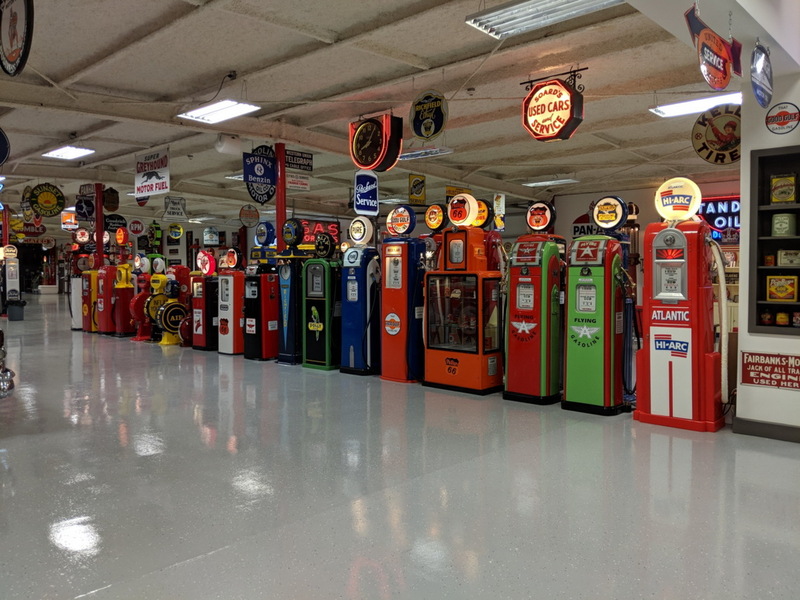 We offer a full restoration shop at our showroom. 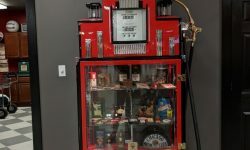 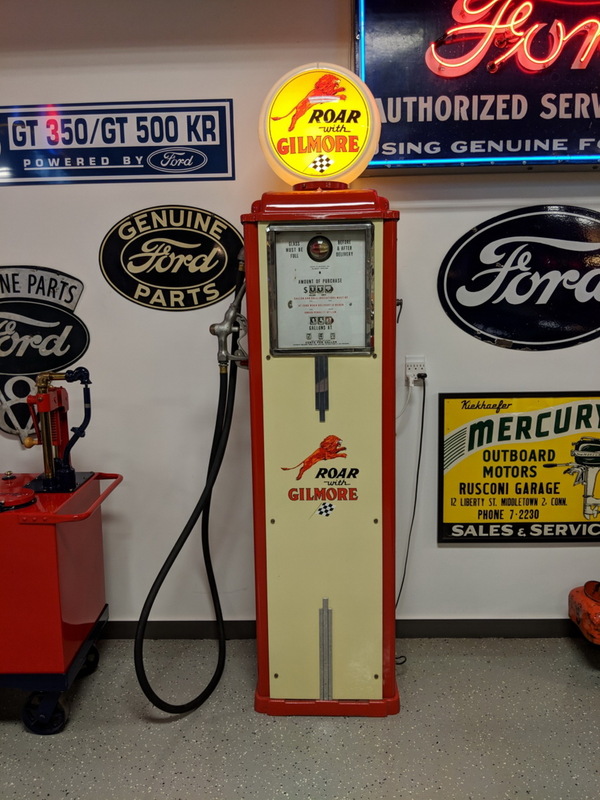 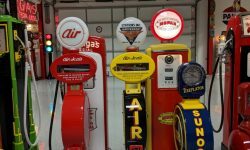 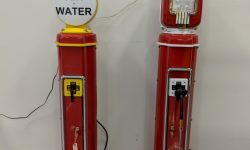 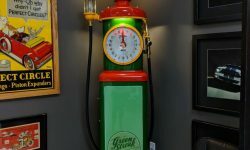 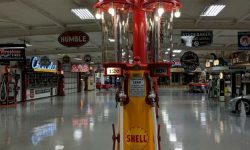 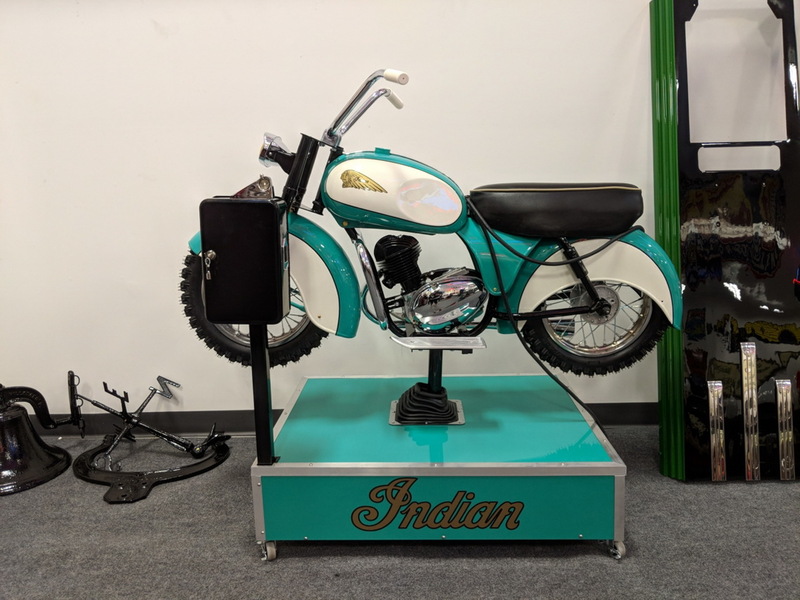 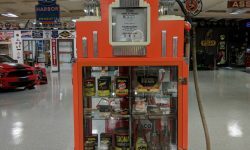 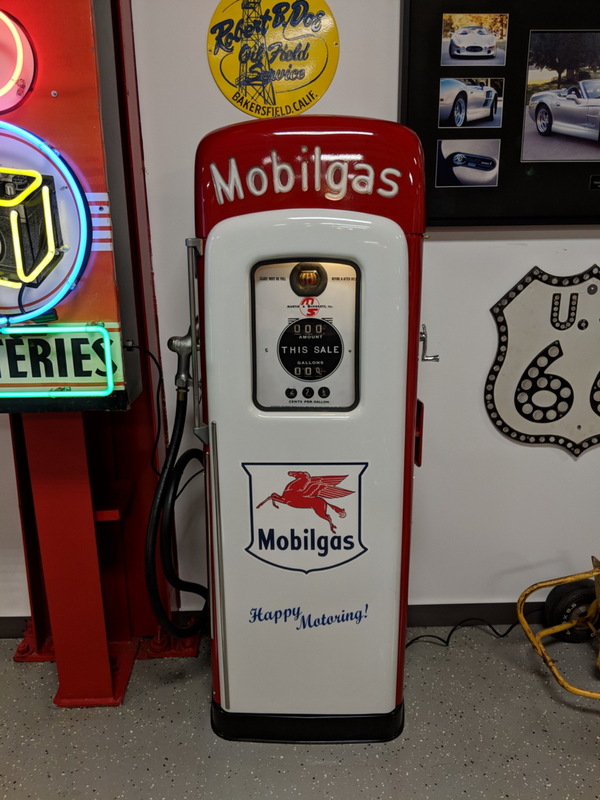 We can restore anything from gas pumps, neon signs, air meters, kiddie rides and more. 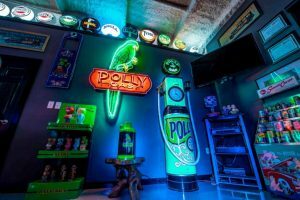 If you have a project in mind contact us! 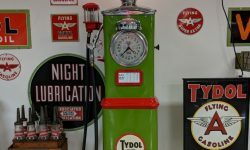 We can use your product or help you find what you are looking for. 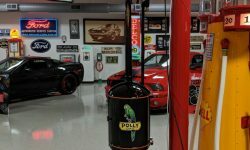 We put the upmost care and quality into each and every piece we work on. 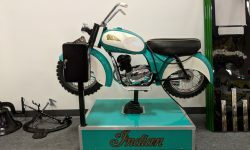 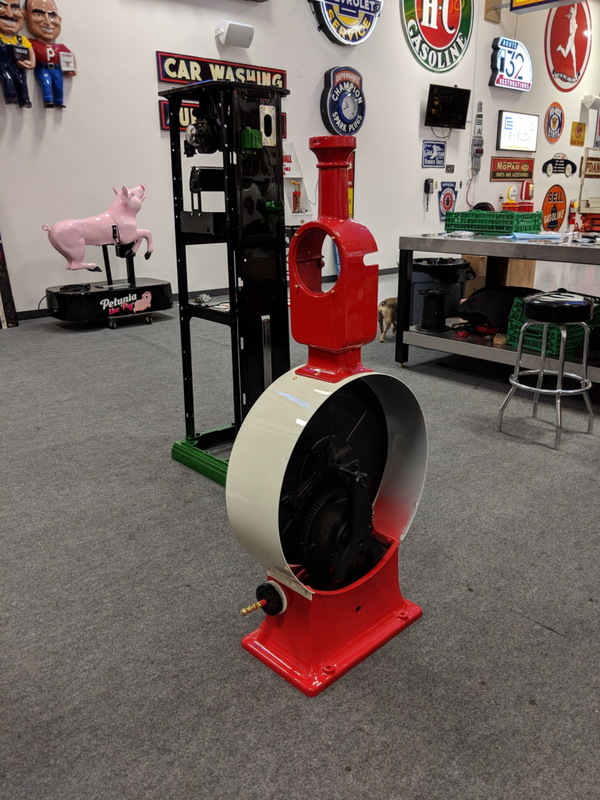 We love working with our customers on custom projects! 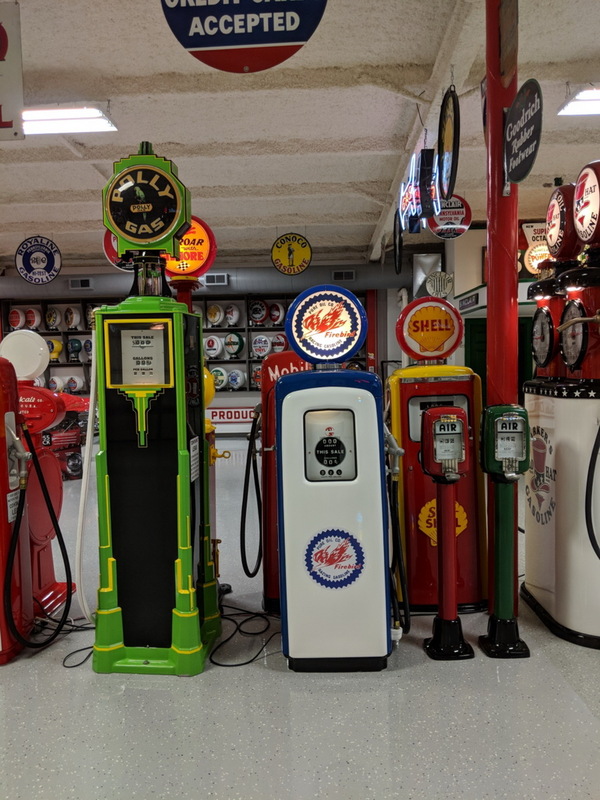 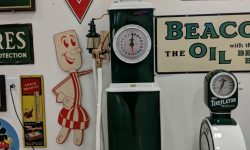 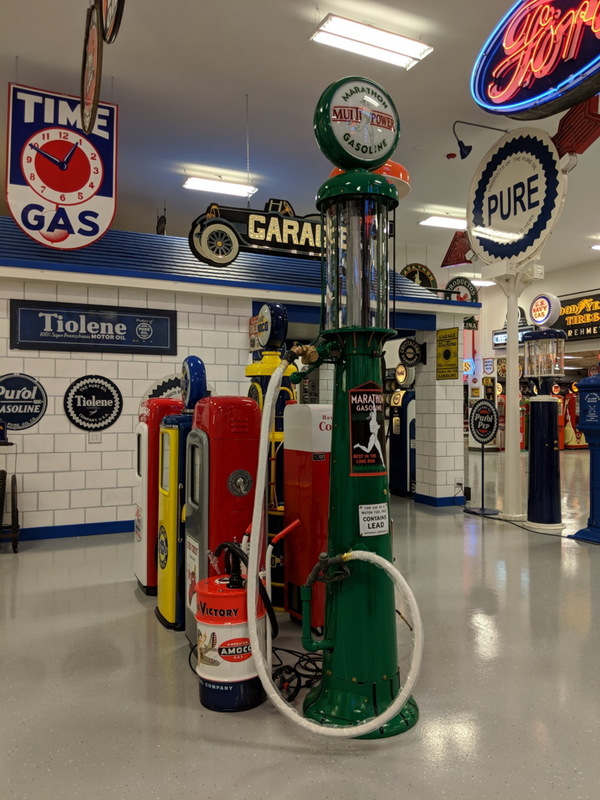 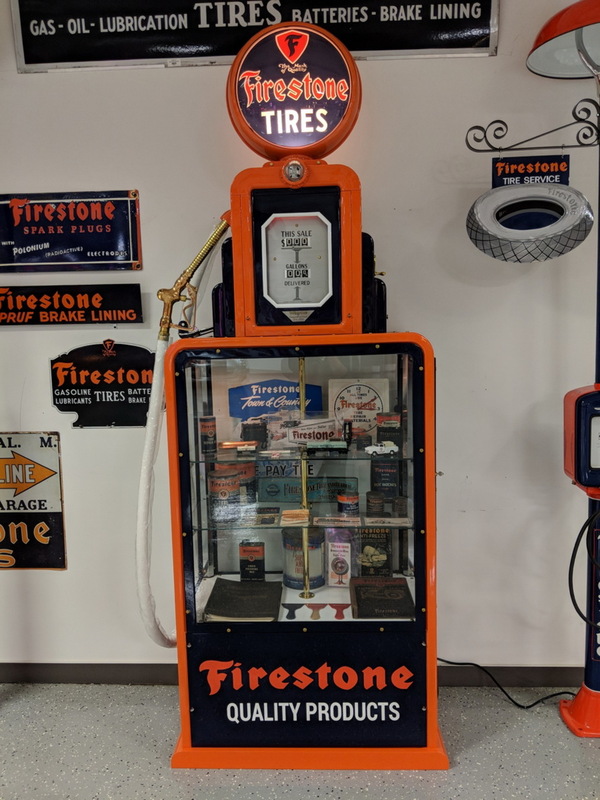 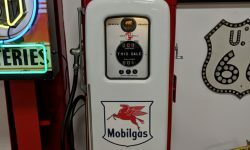 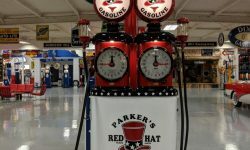 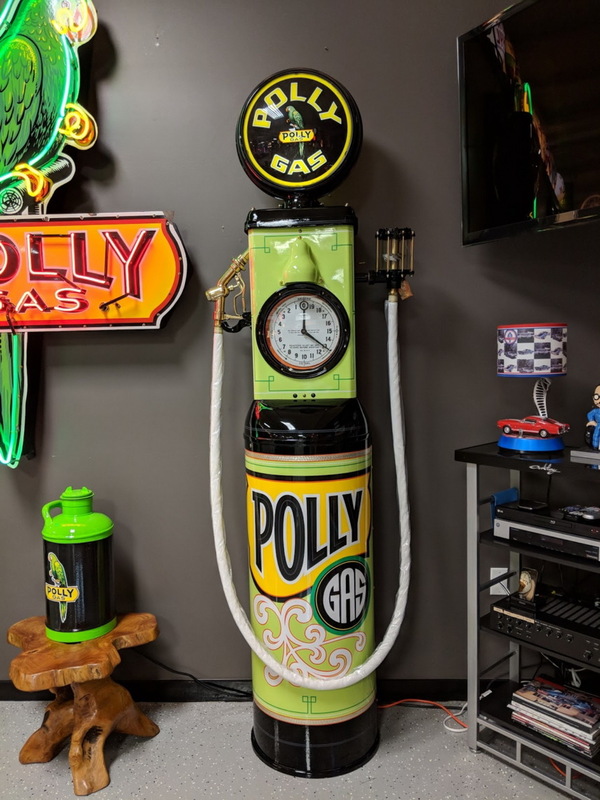 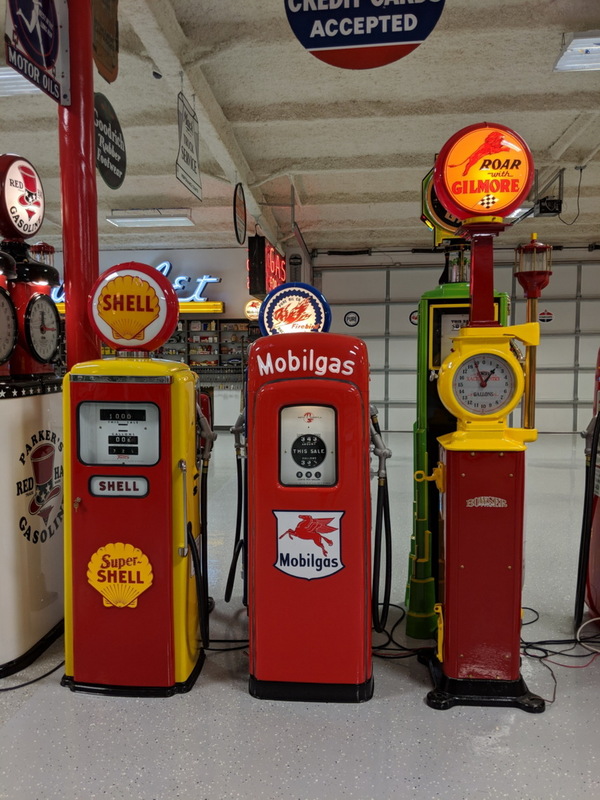 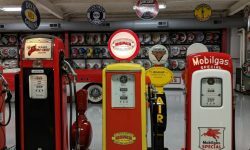 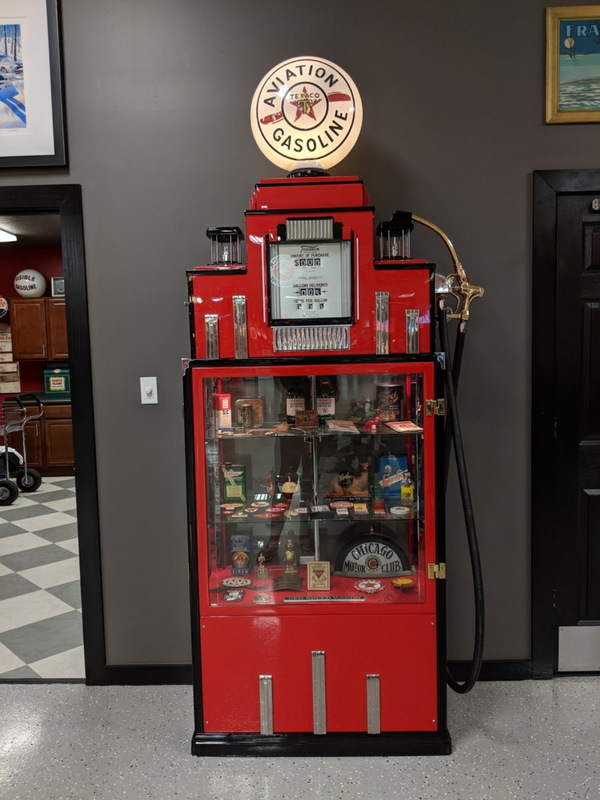 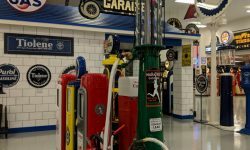 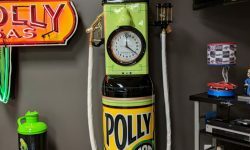 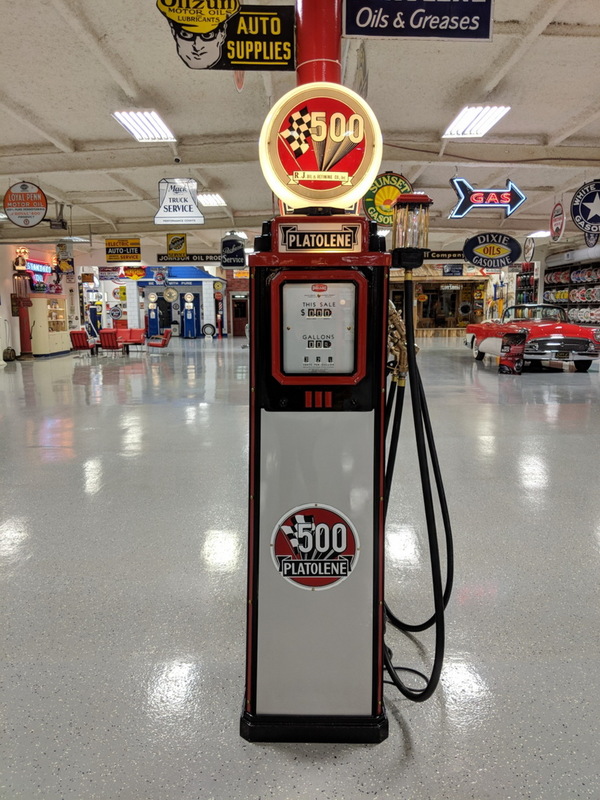 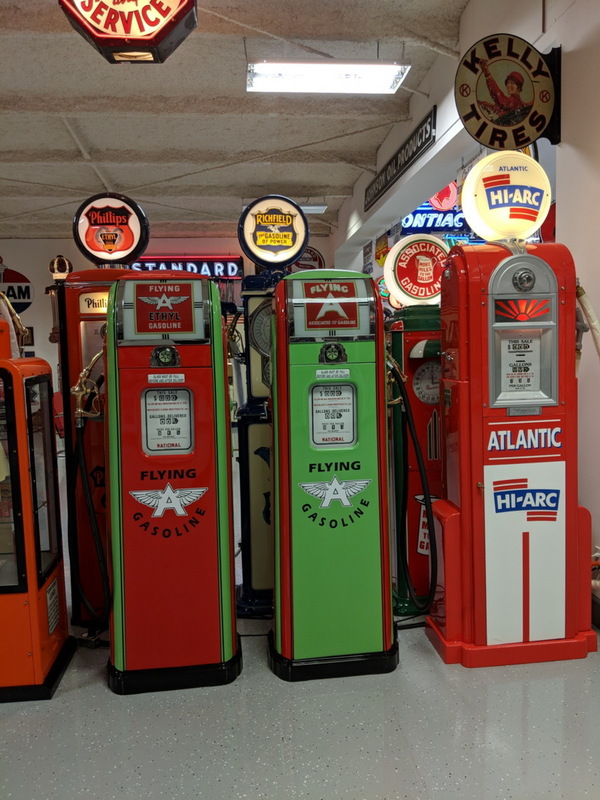 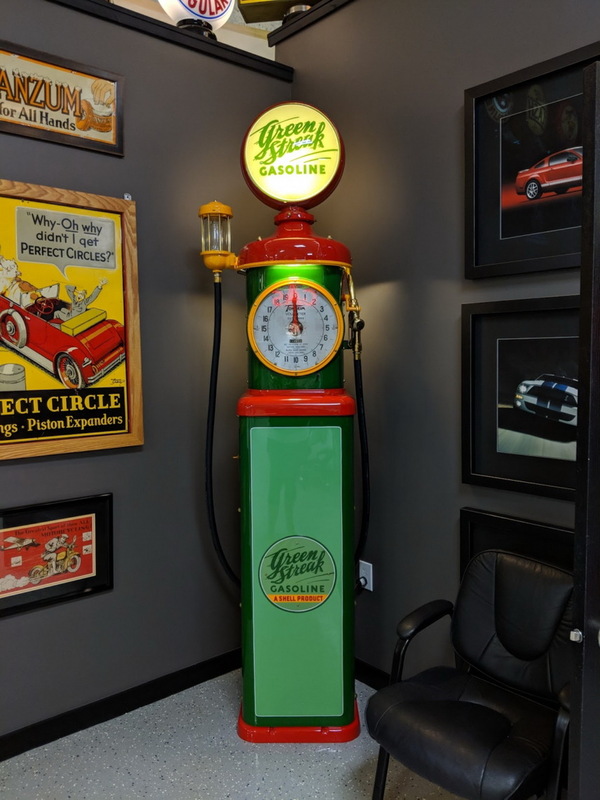 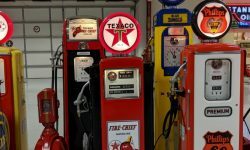 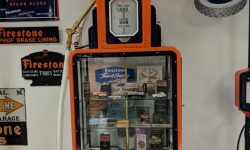 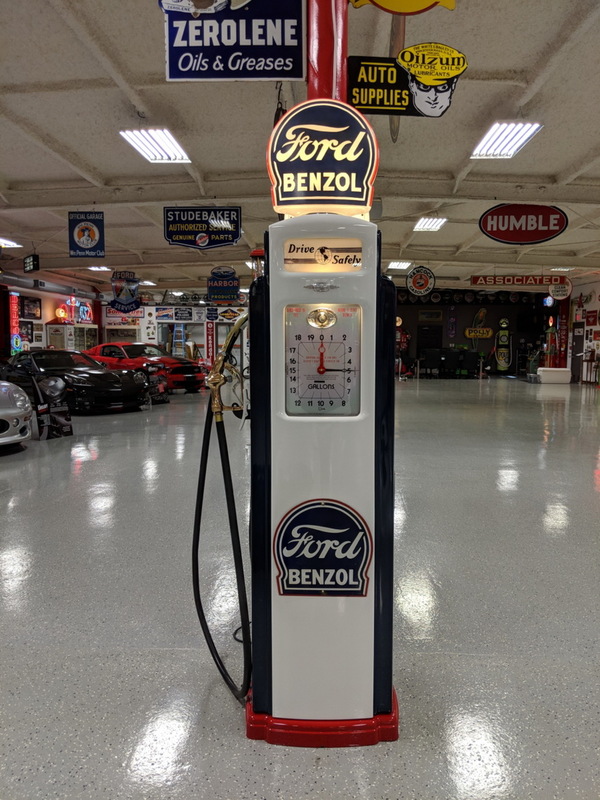 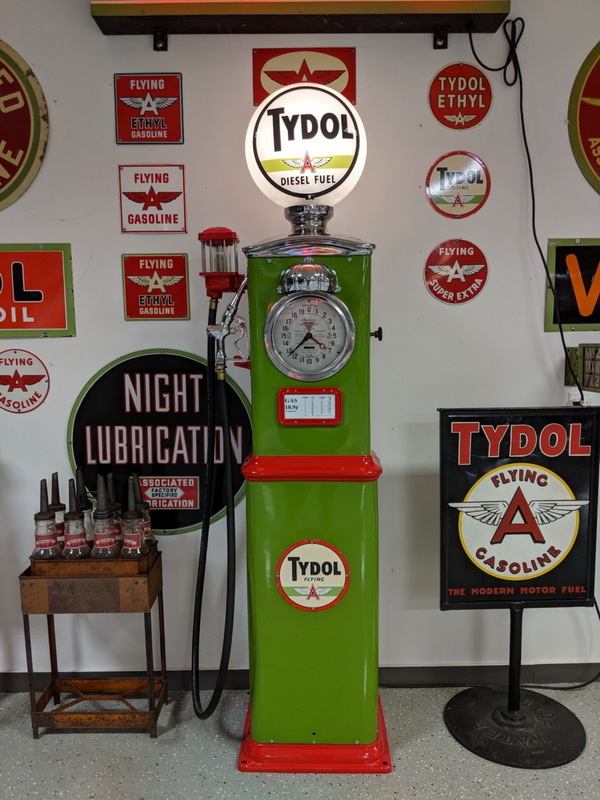 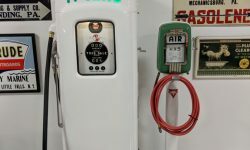 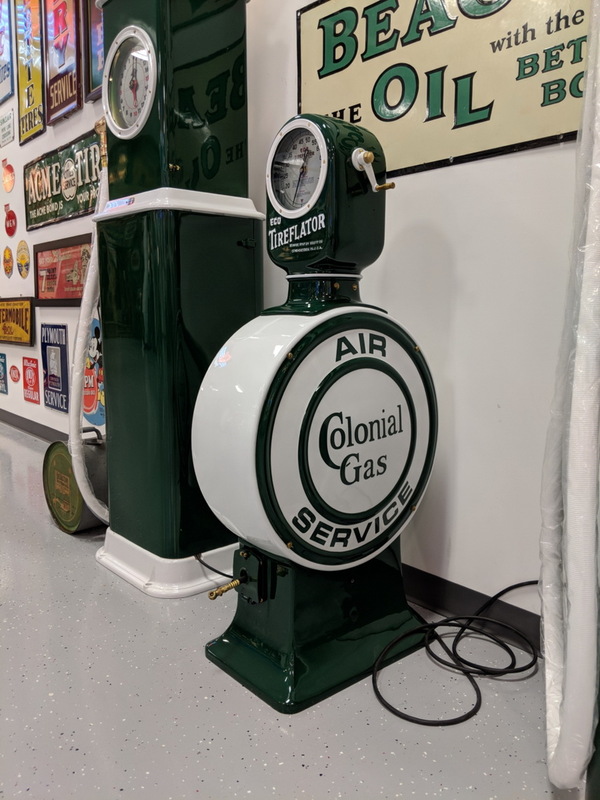 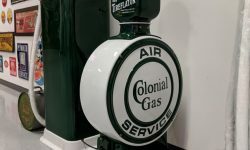 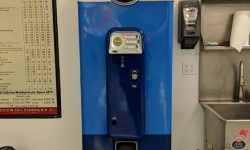 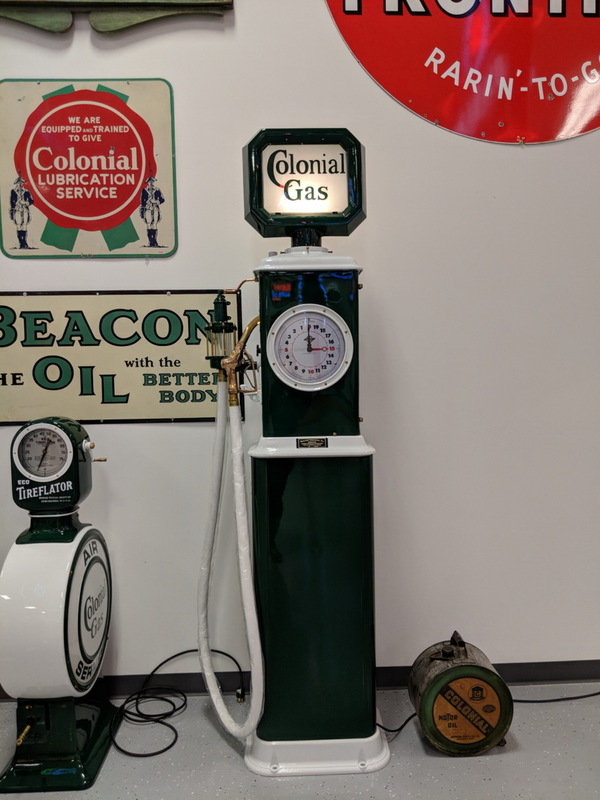 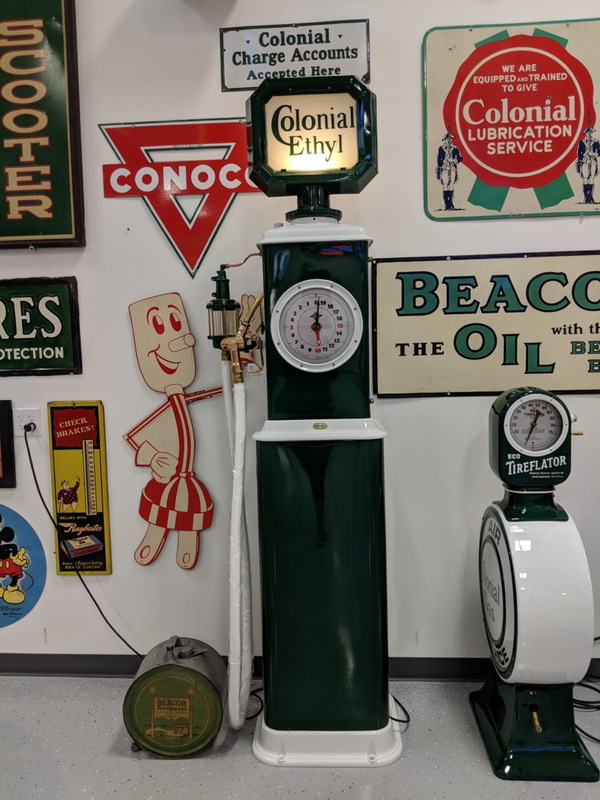 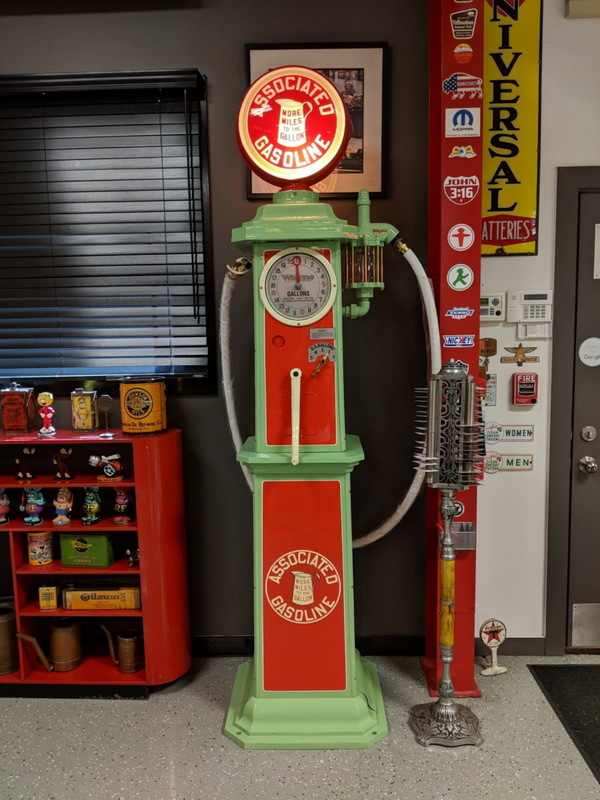 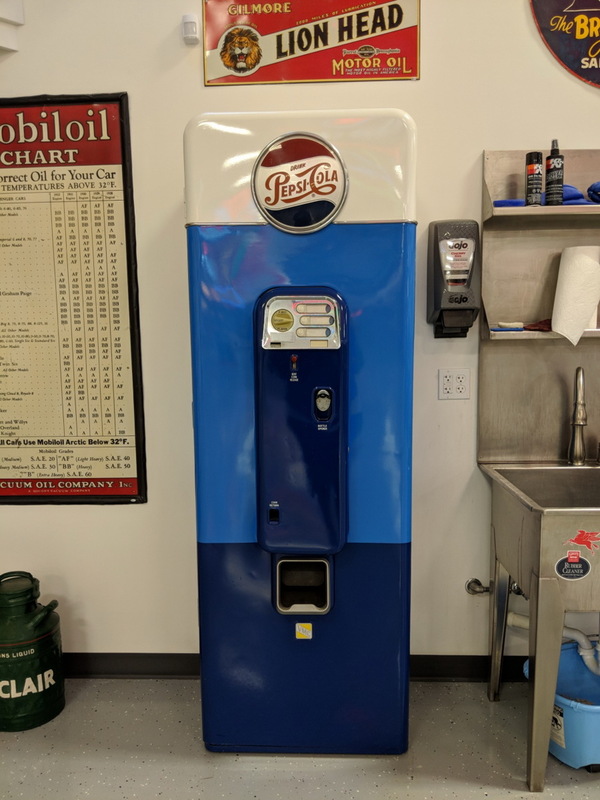 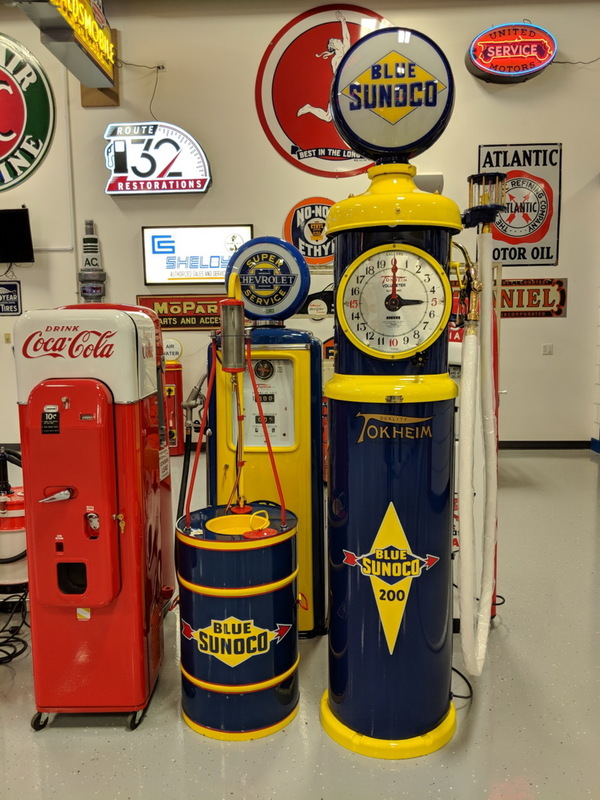 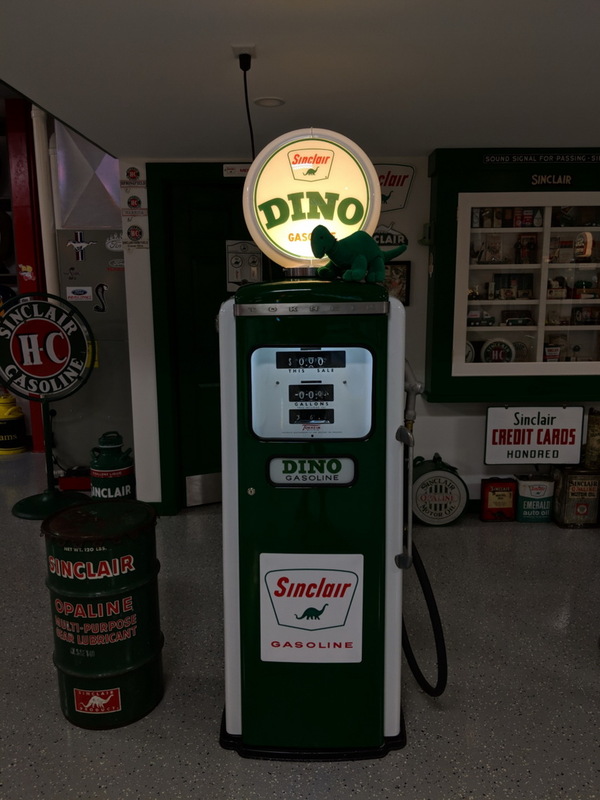 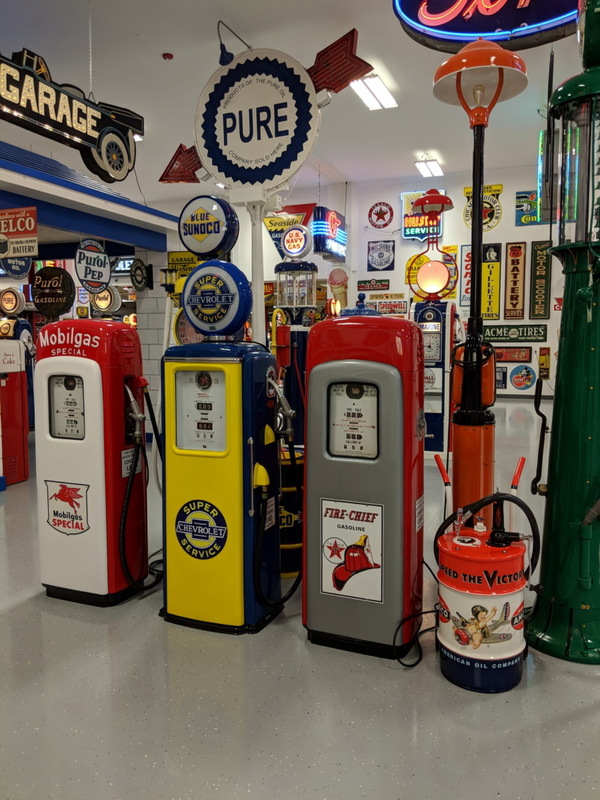 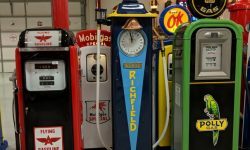 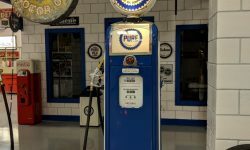 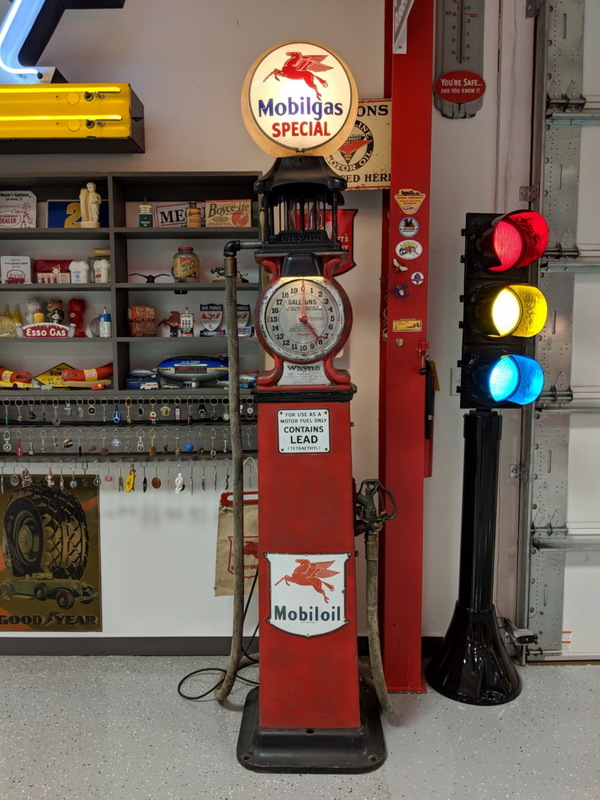 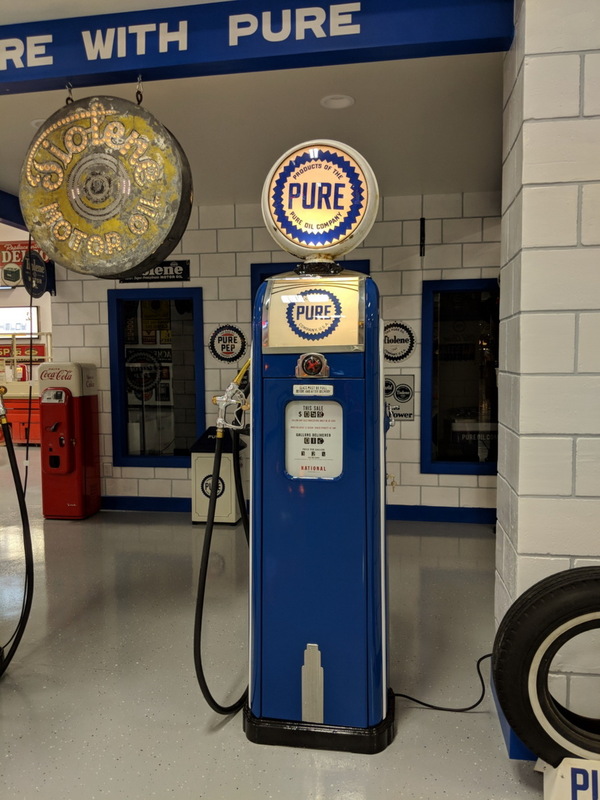 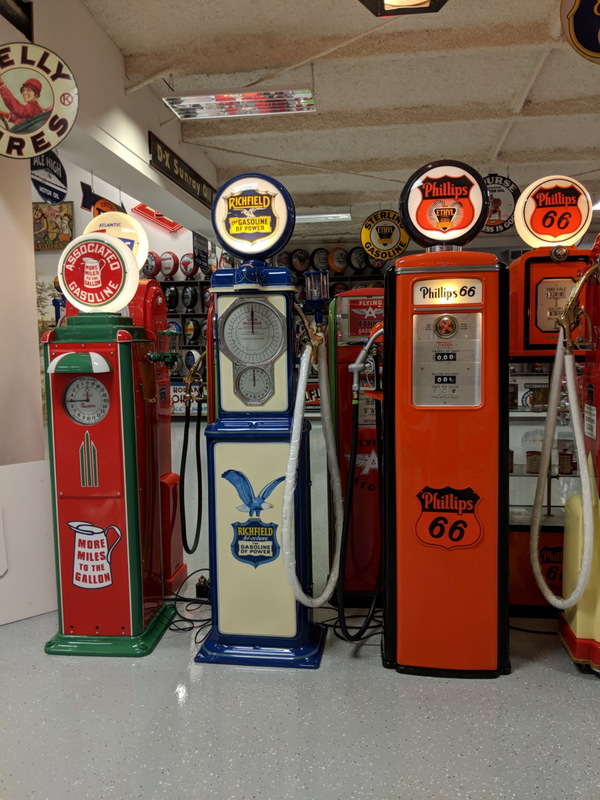 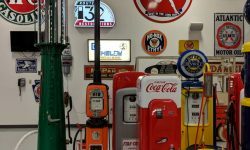 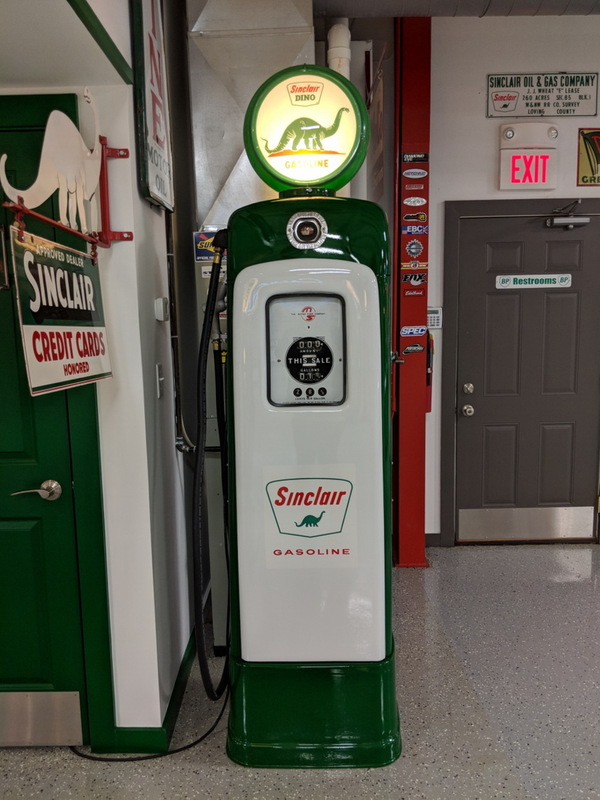 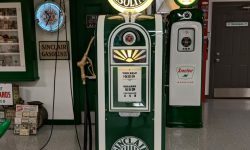 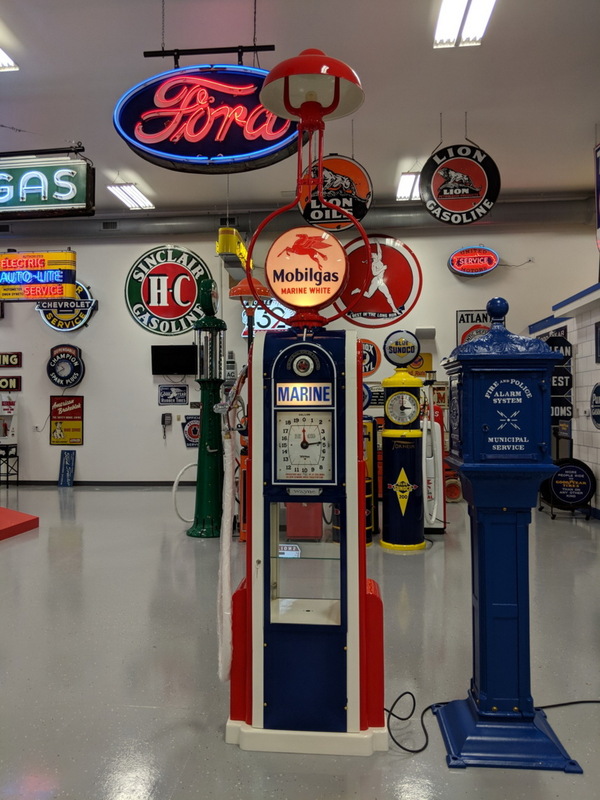 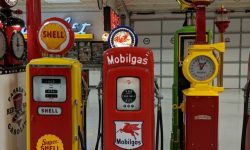 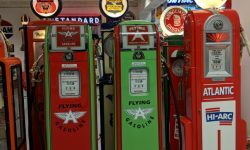 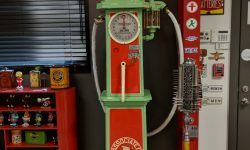 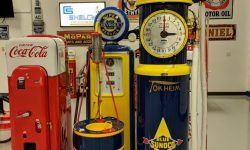 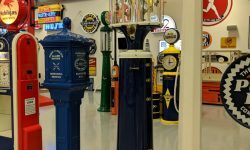 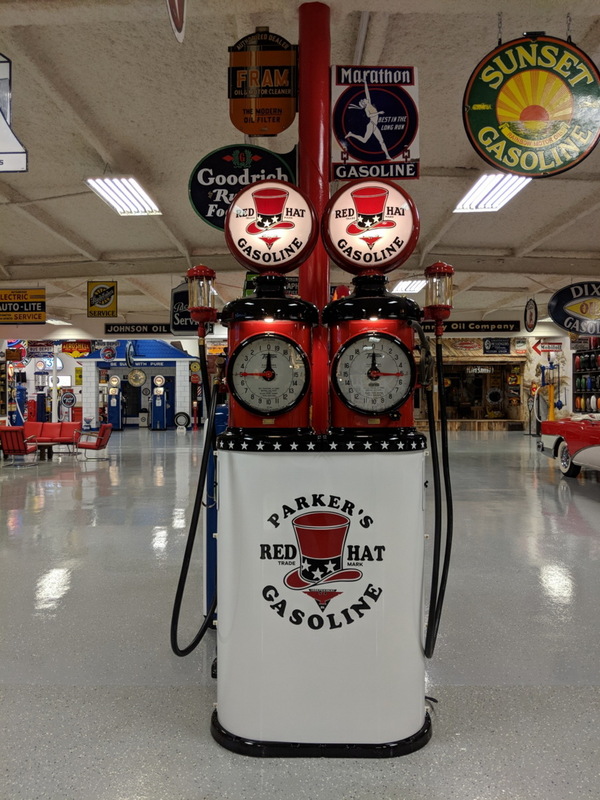 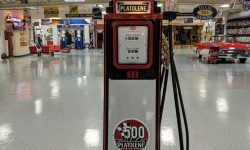 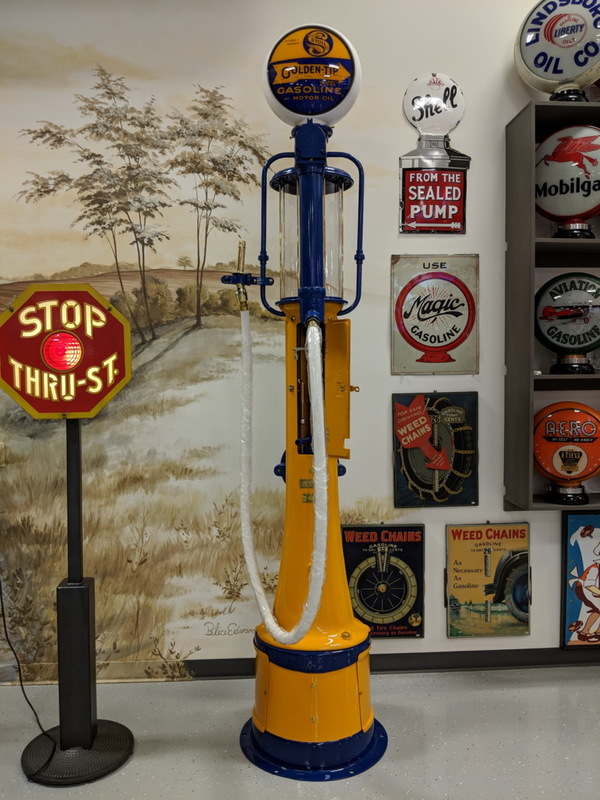 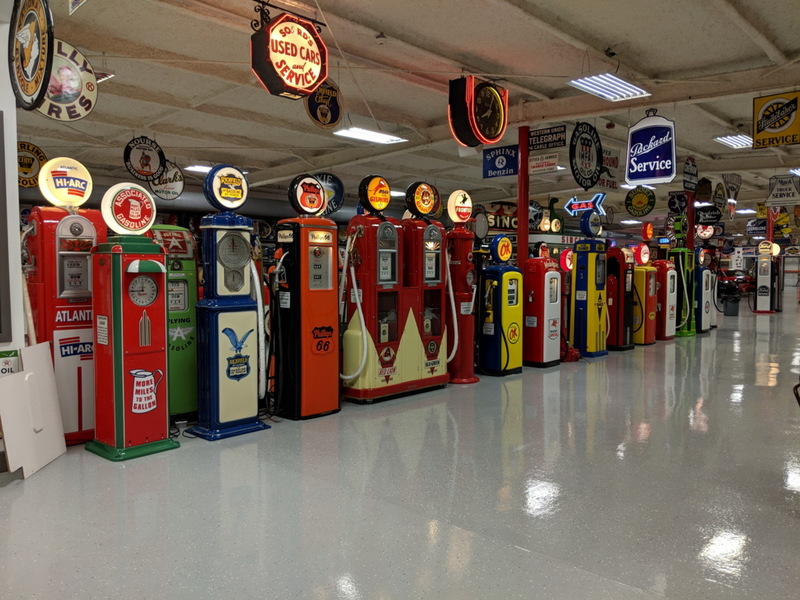 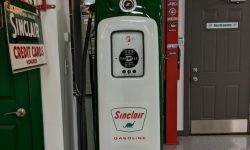 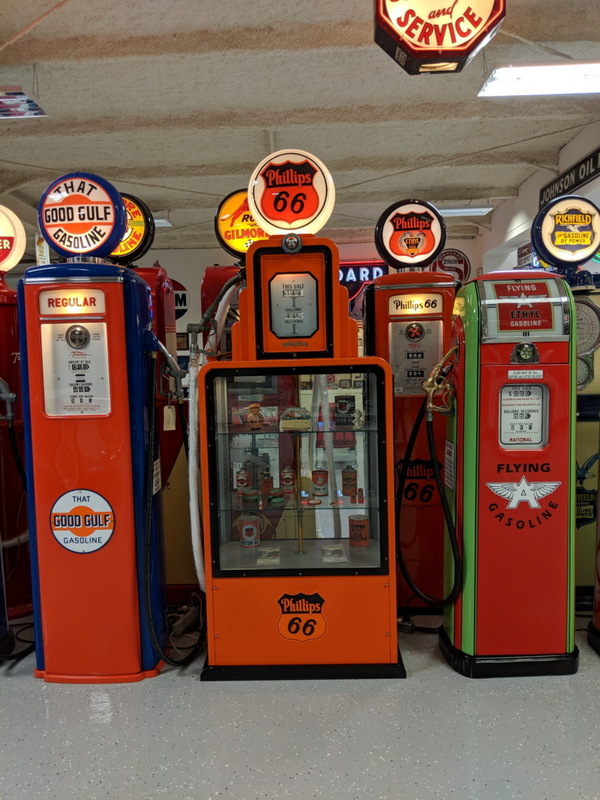 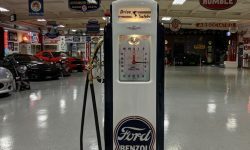 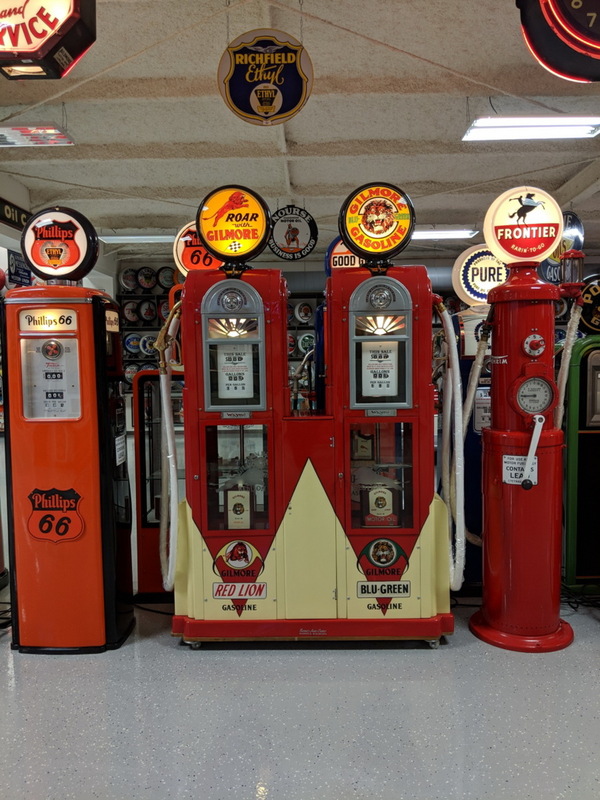 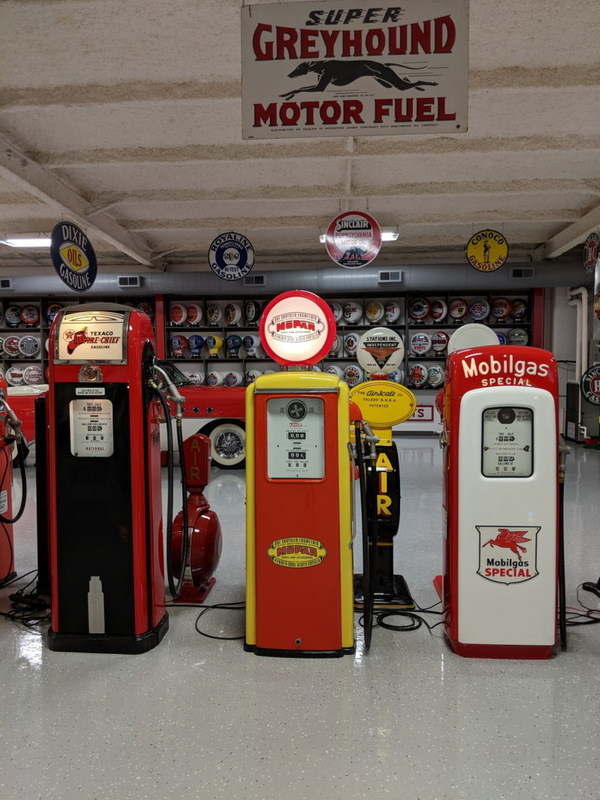 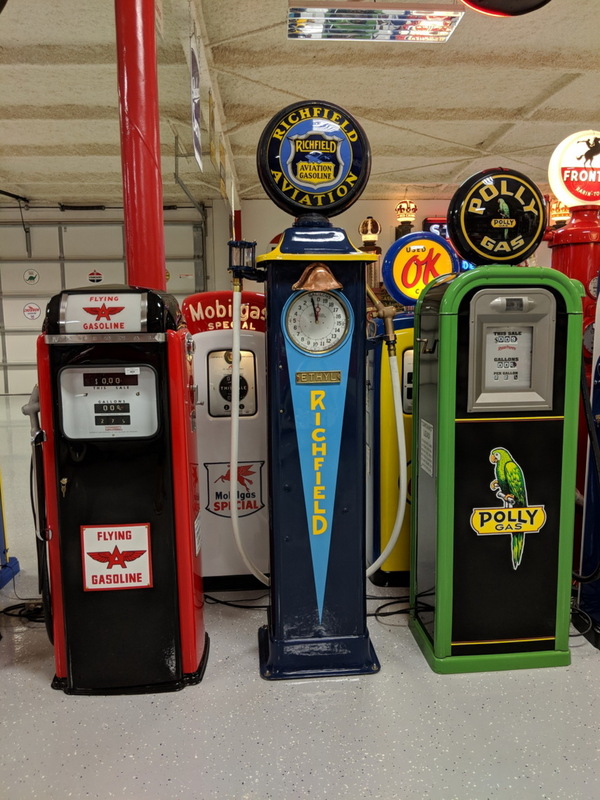 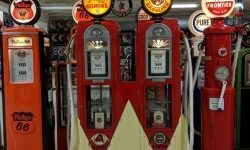 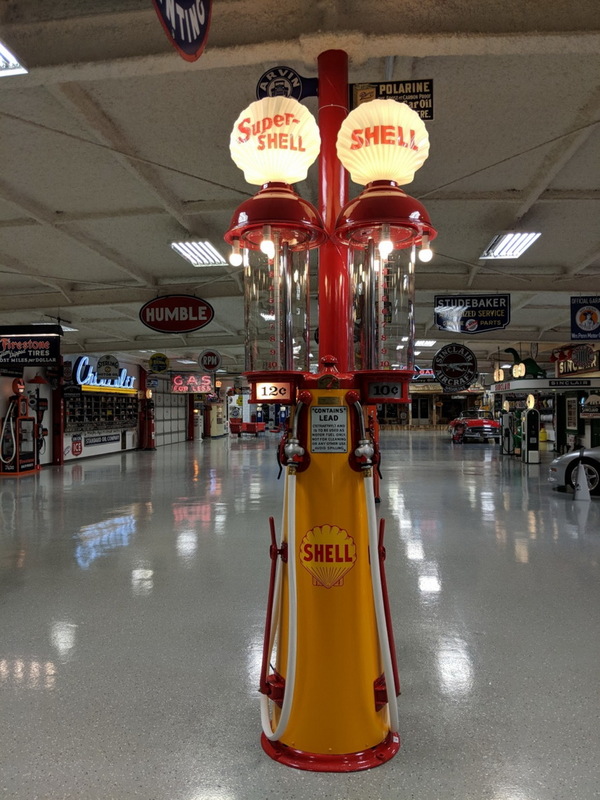 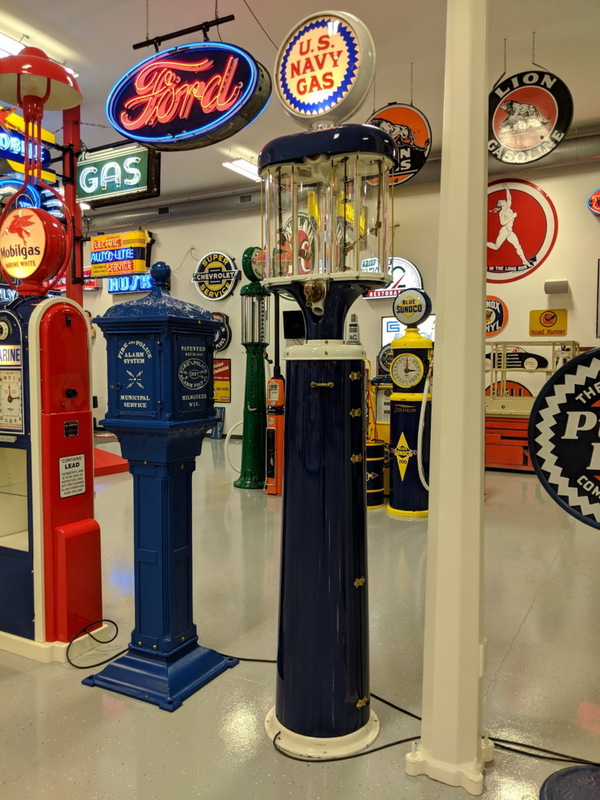 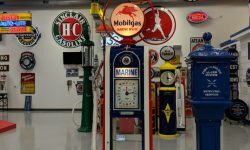 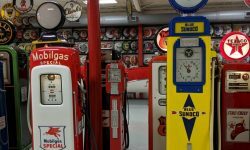 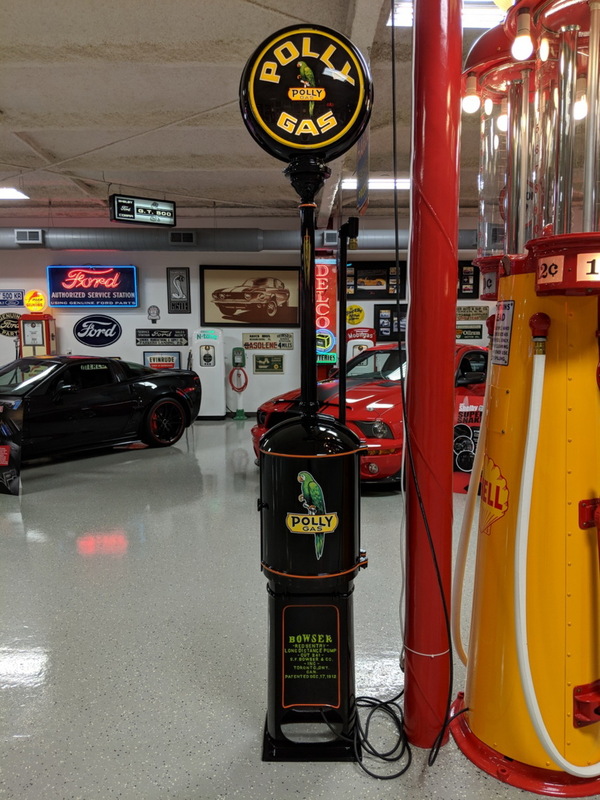 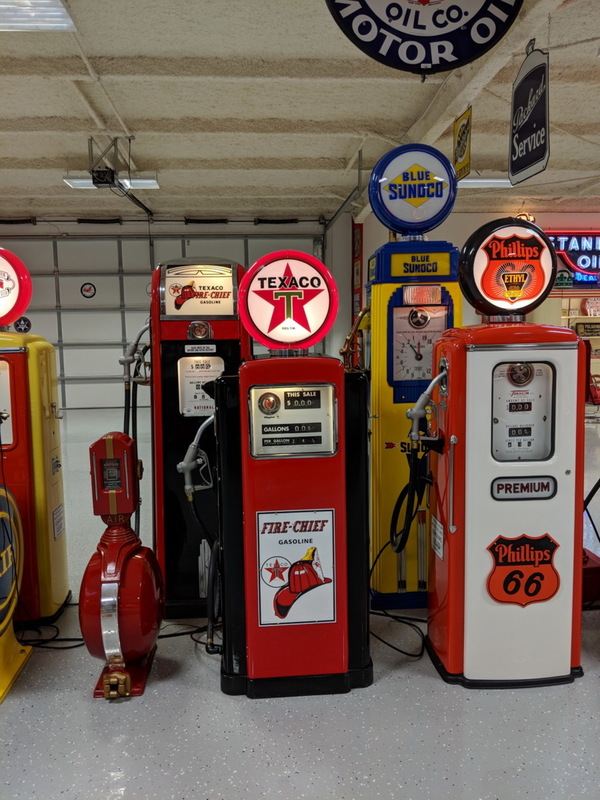 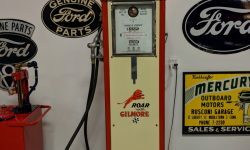 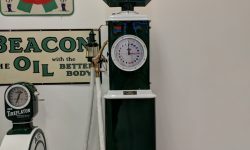 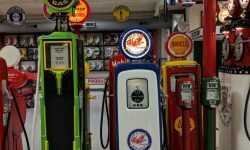 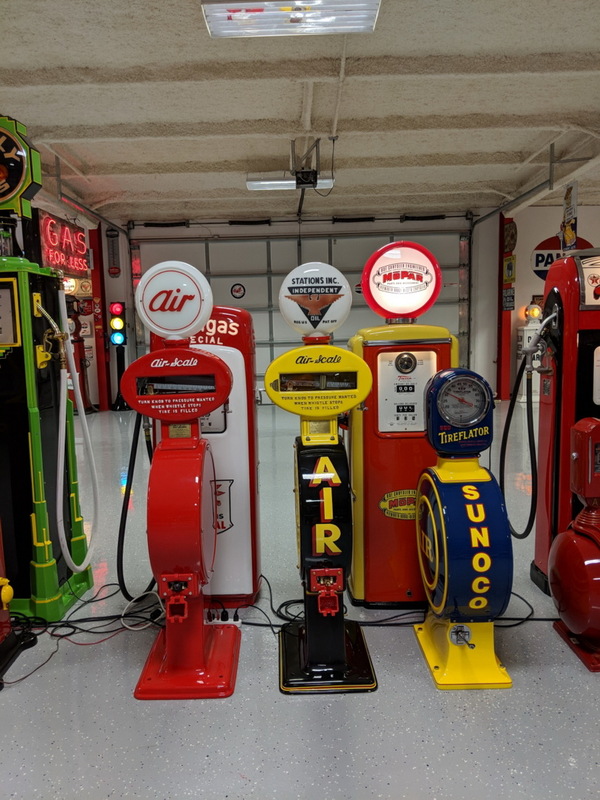 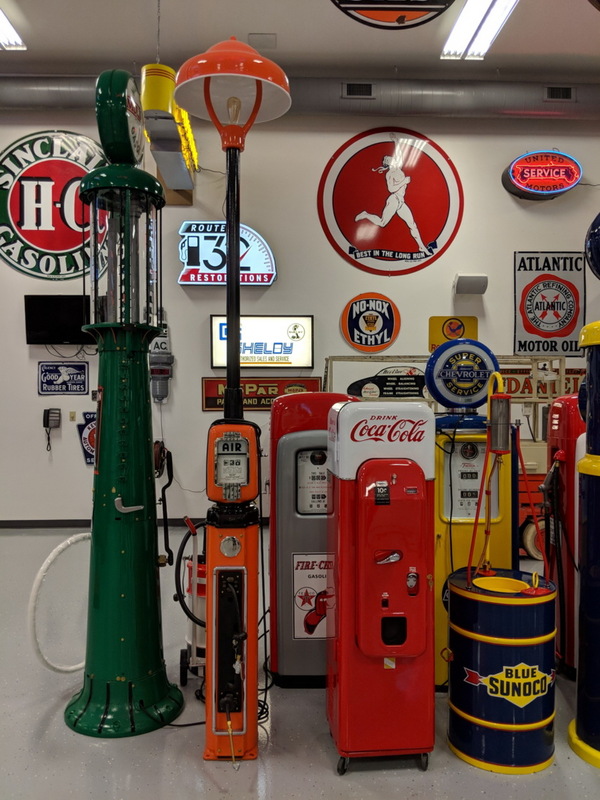 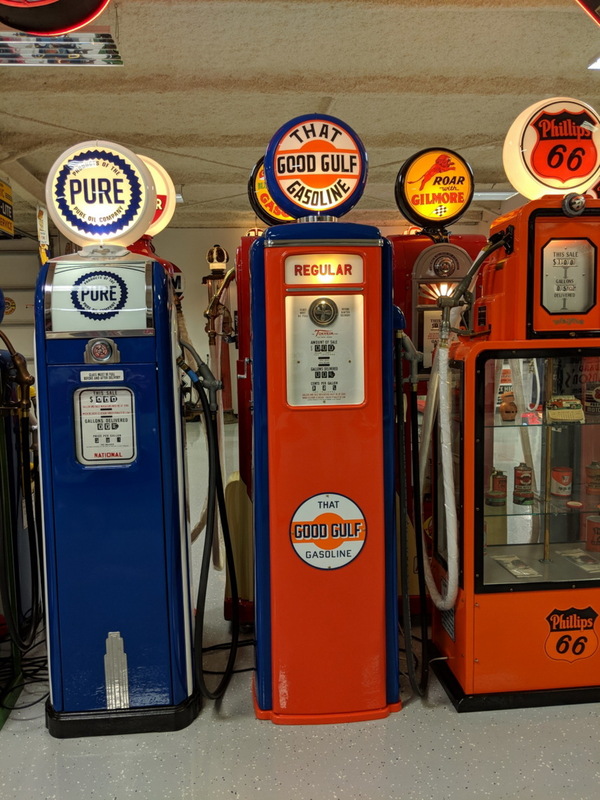 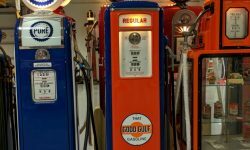 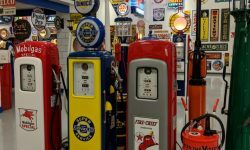 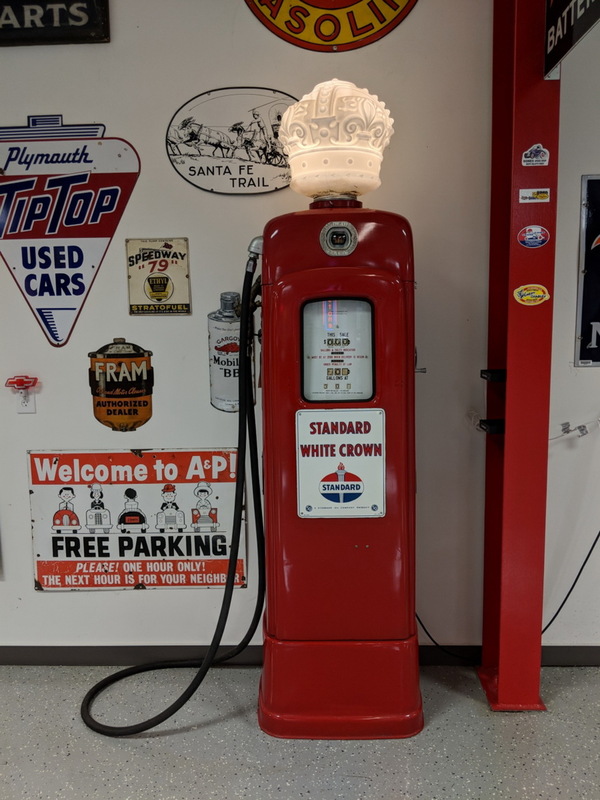 Gas pumps have been around for over a century and they come in many shapes, sizes, and styles. 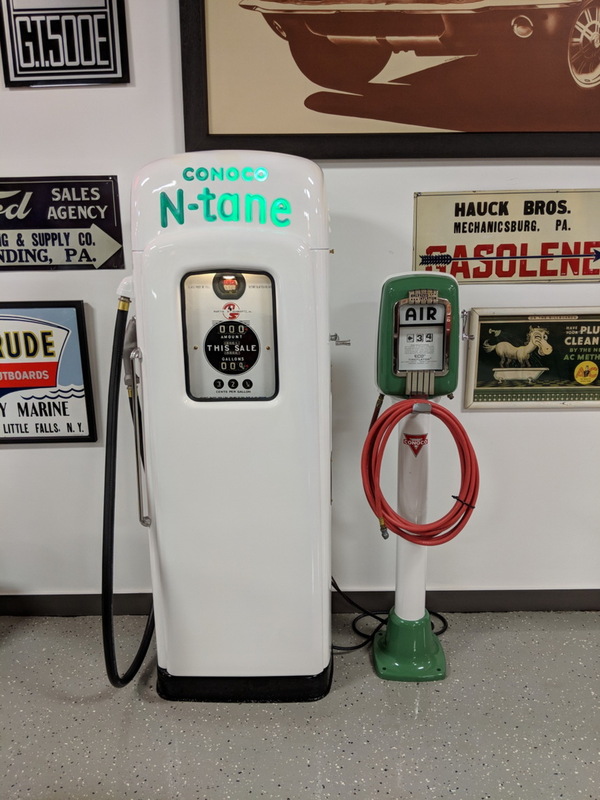 The development of the automobile was the major driving force behind them because there was a need for an accessible way to dispense fuel to keep the engines running. 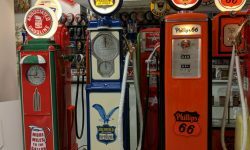 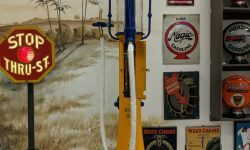 Early gas pumps were hand pump operated and they later became electrified as technology progressed. 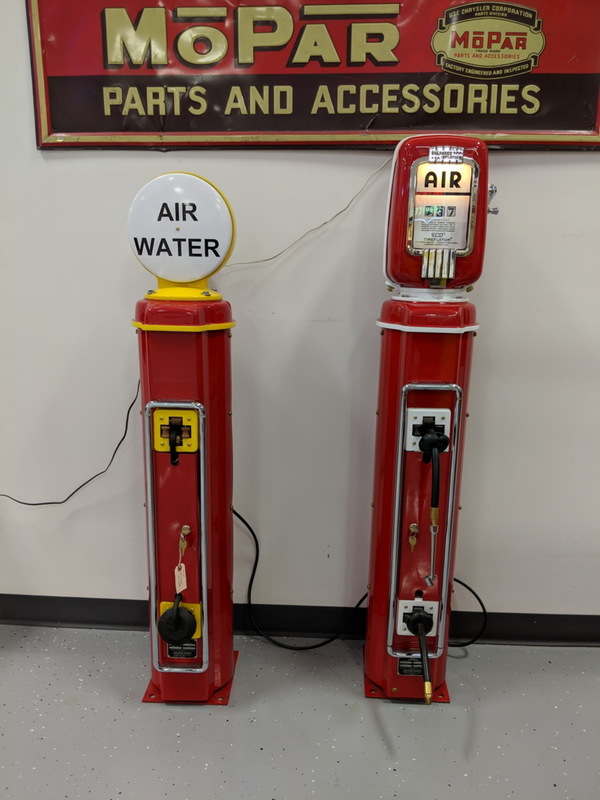 They have withstood the tests of time and still to this day they preform the same basic function and that is to dispense fuel. 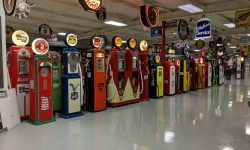 From the 1930’s throughout the 1960’s nearly every main street of every city and town in the United Stated was lit up with neon signs. 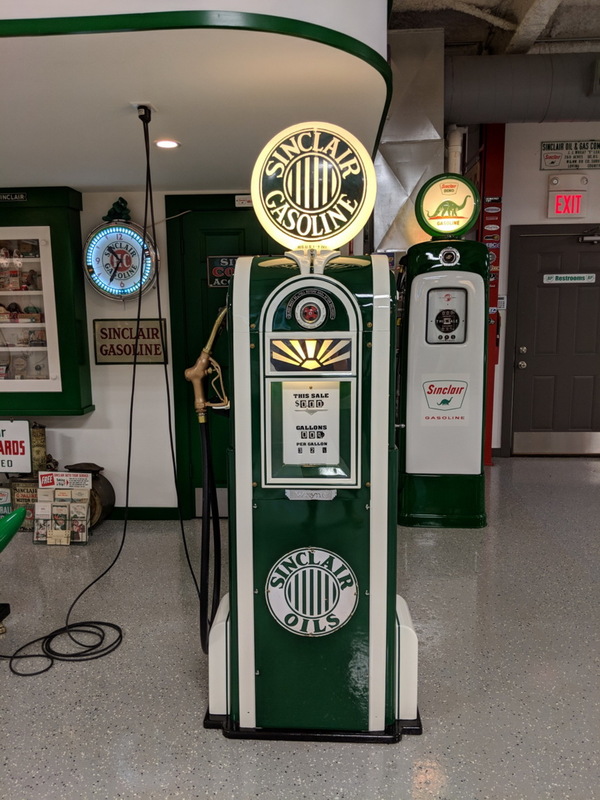 Neon signs were a huge part of advertising and branding with custom signs being made for almost every application. 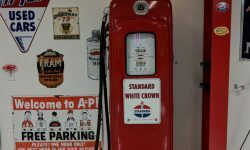 Many of these signs where broke in the process of removal and remain that way today. 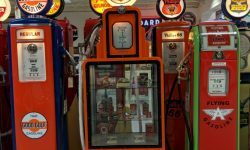 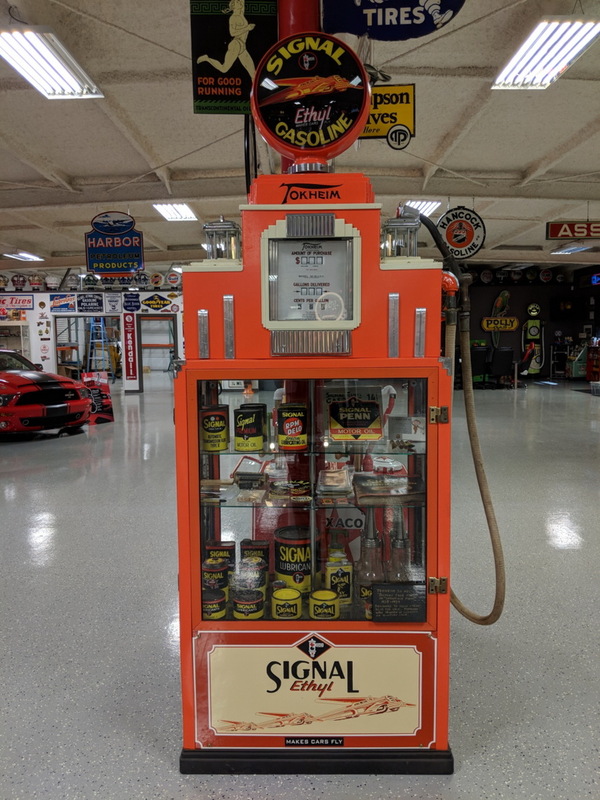 Along with restoring gas pumps we also restore other gas station memorabilia. 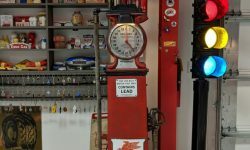 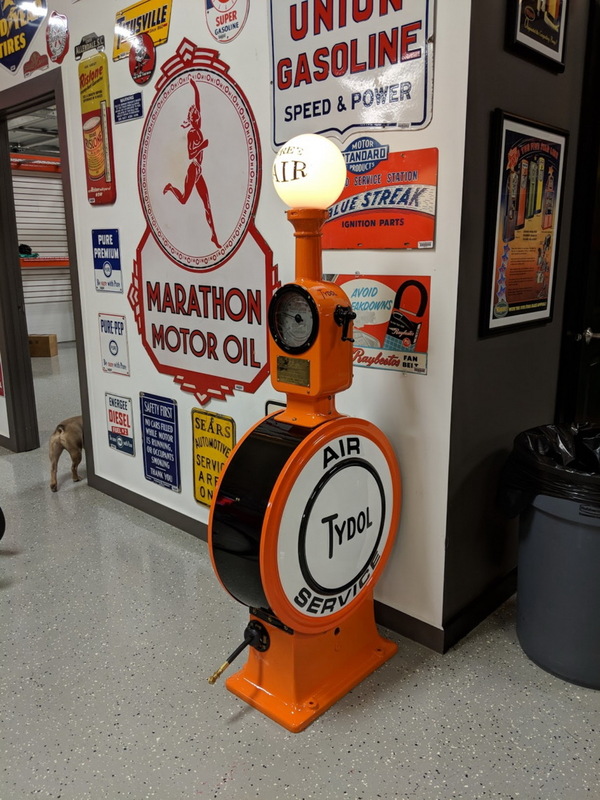 Air meters are great display pieces and their size makes them appealing to some people compared to gas pumps. 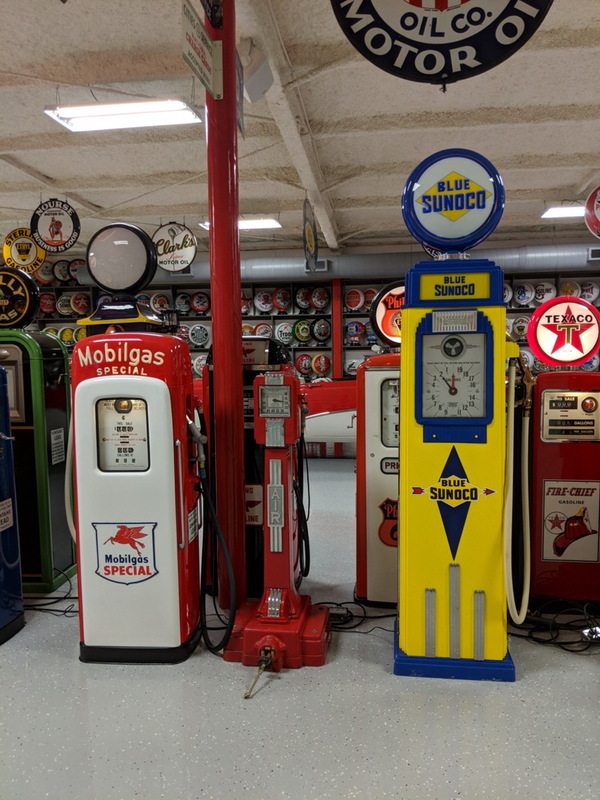 They too come in many shapes, sizes, and styles. 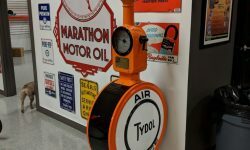 With a little work, some air meters can even be brought back to a fully functioning state. 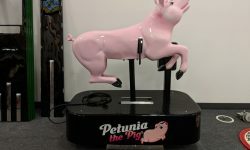 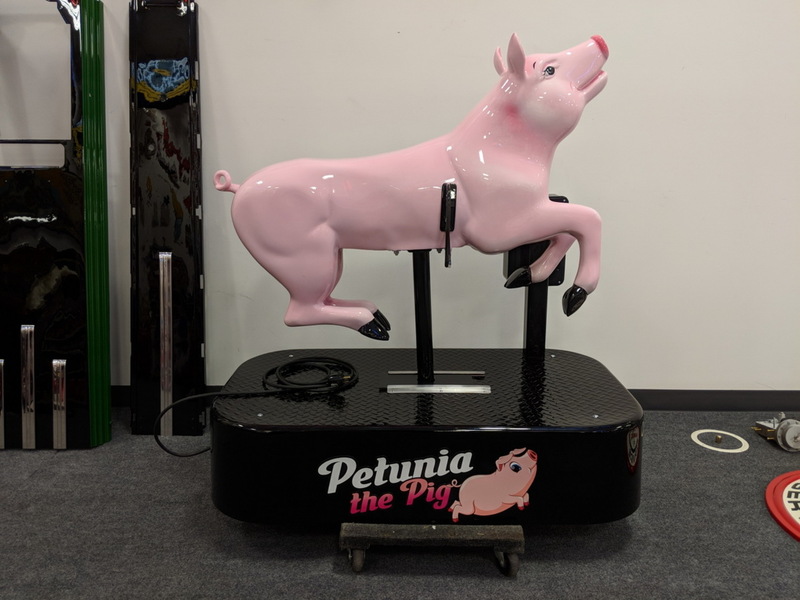 These coin-operated rides are a fond memory from the past for many – most of us remember them sitting outside of grocery stores or inside malls and theaters. 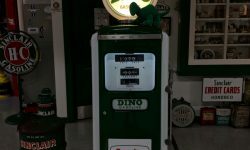 For a coin you could get a short ride on Sandy the Horse or whatever ride was being featured at the venue. 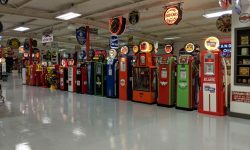 Collecting kiddie rides has really become popular over the years and there are a lot of different rides out there. 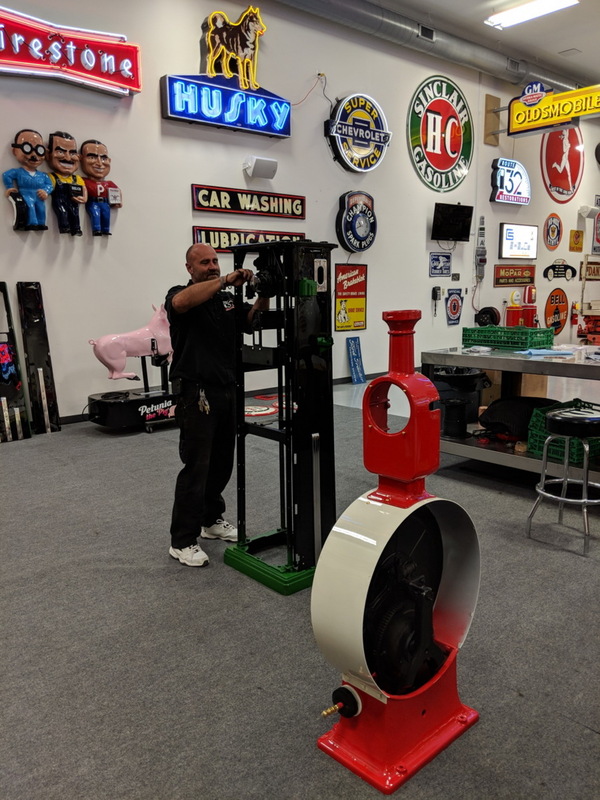 Please contact us and let us help you bring your kiddie rides back to their former glory.